Today is a New Day! I will choose Success over Failure; Strength over Weakness! I will Love my Body Nutritionally...Not Harm it Carelessly; Because Today is a New Day! Hello! I'm Stephanie Sewell, Your Personal Trainer. I am here to help YOU reach a Healthier You...One Day at a Time. You will receive my eBook of Fit Happens with Know Exercise! 28 Days of Success for Every Body. And a message from Me for each of the 28 Days you are completing this journey. 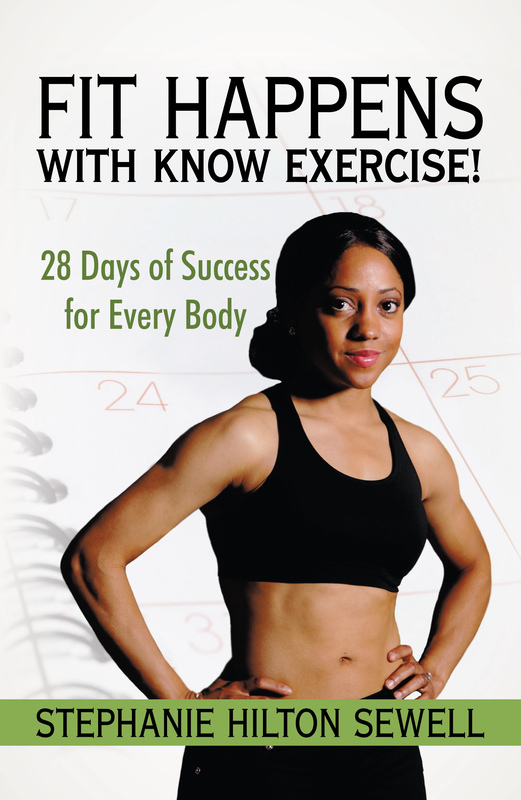 eBook Fit Happens with Know Exercise! Day #5 Whom Are You Listening To Right Now? Day #8 What Are You Eating? Day #11 What Are you Really Eating? Day #12 Ready, Set, Eat! Day #13 Let's Go Shopping! Day #20 Hey D.J., Let's Mix Things Up! Week #4 Bringing It All Together! Day #26 You Make Me Feel Like Dancing!